Not hardy. Height to 60cm. 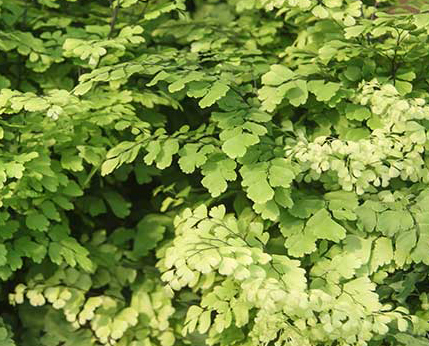 A beautiful and easy to grow indoor Maidenhair Fern. Quite tolerant of under watering but don't allow to dry out completely. Does not like over-watering so keep compost just moist. It prefers good humidity and light, but not direct sunlight and should be kept away from draughts. The pinnae are slightly overlapping giving a full look.